Action B1 aims to develop adaptation strategies at the vineyard scale, reproducible in other areas of Europe, and simulate the impact of climate variability on vine dynamics and viticultural strategies. 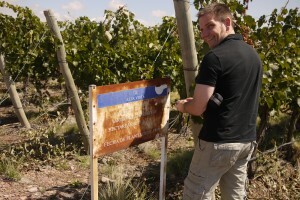 then construct specific viticultural models for each demonstration site. 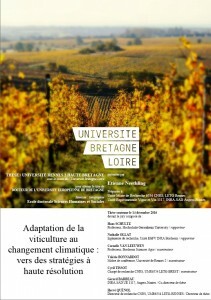 Adaptation to climate change is a major challenge facing the viticulture sector. 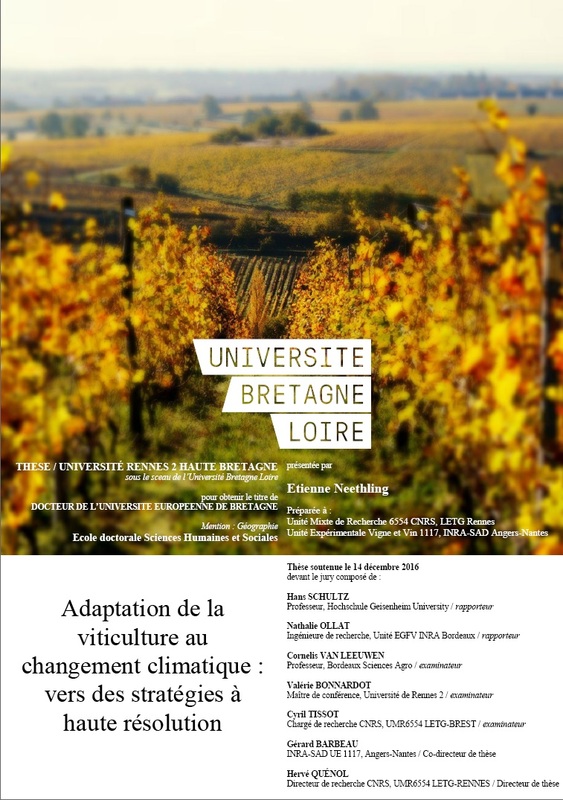 Within an appropriate temporal and spatial framework, the aim of this thesis was to enhance the conception of climate change adaptation in viticulture, all towards constructing high resolution strategies. The methodological framework used in this study consisted of several steps. Using a regional climate model, the first step was to evaluate the potential impacts of future climate changes on grape growing in the Anjou-Saumur wine growing sub-region. With warming predicted to continue by +1.1°C to +3.8°C in the far future, grapevine phenology is expected to advance significantly. Secondly, two contrasting study areas in Anjou-Saumur were equipped with climatic and agronomic measurements at vineyard-level scales. For three consecutive growing seasons, local variability in climate- and grapevine-related variables were studied. Results have shown a strong spatial variability in local climate conditions, which were reflected on grape phenology and grape composition. This spatial heterogeneity in local conditions should represent an important buffer in response to future climate changes, allowing winegrowers to manage the expected climate change impacts. And finally, wine growers’ perceptions, vulnerability and adaptive processes to climate variability and change were assessed through individual semi-structured interviews. Within the context of climate change and the key issues surrounding adaptation, this thesis have highlighted the importance of local environmental knowledge and contextual understanding in framing adaptation strategies across different temporal and spatial scales.